As we head into the winter months, most people across the country will be pruning their garden back and prepping it for the cooler temperatures. Just because your gardening is done for the season though, it doesn’t mean the outside work is also done. Unfortunately, along with winter comes snow, which results in snow removal. Now, before you head out the door and start slugging away at clearing walkways and the driveway, here’s a look at some tips that will help you clear the snow in a safer, more effective way. 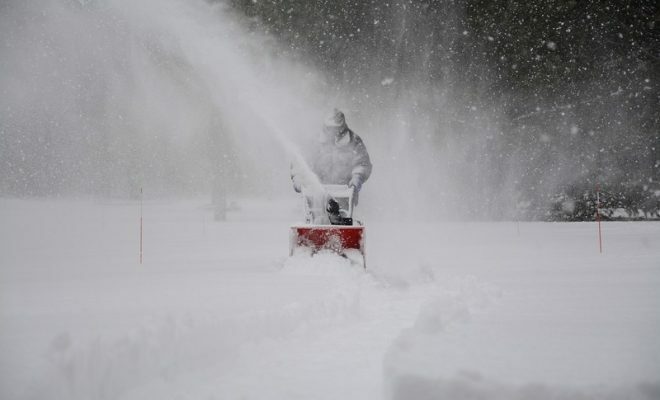 If you happen to have a large amount of property that you’re clearing snow for, such as an extra-long driveway, there is absolutely no way you’ll be able to tackle snow removal with a shovel. Removal will take forever and there’s the fact it puts a lot of strain on your body – in particular, your heart. This is when you will want to bring out the big toys. If you happen to own an ATV for your large property, then ATV plow kits are the perfect winter addition. What these kits do is essentially transform your ATV into a small snow plow. You’ll be able to plow your property in no time and without having to pay for a snow removal service. There’s also the fact you can use the plow to spread mulch on your lawn come spring, move items around, and help with clean-up of weeds and fallen leaves. For those homeowners that don’t have a massive property and don’t need an ATV snow plow conversion, but they still have a substantial sized driveway and walkways, then a snow blower is a wise investment. When you start the shopping experience you want to be sure you aren’t looking for something too small or too large, as it will just make clearing the snow difficult. As well, snow blowers don’t tend to work well with that heavy wet snow, so you’ll still need a shovel. The build-up at the end of a driveway is a good example and it may take some initial clearing with a shovel first. There are gas and electric snow blowers available; it’s a matter of preference and how much power you need. While you’ve probably got a technique to your shoveling, meaning the way in which you approach it, it’s important to take your own health and safety into mind. Before heading out to shovel, be sure to do a few light stretches then get dressed in layers. Make sure you take breaks often, especially if you’re not particularly active. As you shovel, make sure you bend your knees and lift with your legs. You don’t want to lift the snow; you just want to move it. If possible, it’s also a good idea to switch between your left-hand and right-hand so as not to strain yourself. Now that you’ve got the right tools for clearing the snow, you’re ready to usher in the winter.